July of this year, I gave my basic legal analysis on a lawsuit filed by a photographer against Fela! Broadway Musical in New York. Apparently, there is a new lawsuit this time from Carlos Moore who authored “Fela: This B***h of a Life.” It seems life imitates art and his law suit reinstates the title of his book. Moore alleges Copyright Infringement of his work against Fela! and seeks both monetary damages and an injunction to shut down the show. “Sections of the Carlos Moore autobiography “Fela: This B***h of a Life,” which the author claims were used without his permission in the successful Broadway musical, “Fela!” are available only in the Nigeria edition published by Cassava Republic Press. The author of a book on Nigerian musician Fela Anikulapo Kuti has filed a $5 million dollar lawsuit against the producers of the Broadway Play Fela!.Carlos Moore, author of the 1982 Fela: This b***h of a Life, filed the lawsuit in the United District Court in Manhattan yesterday (November 8th). Moore claims that in 2007, he was offered $4,000 for the rights to the biography about Fela, but rejected the sum because it was insufficient. 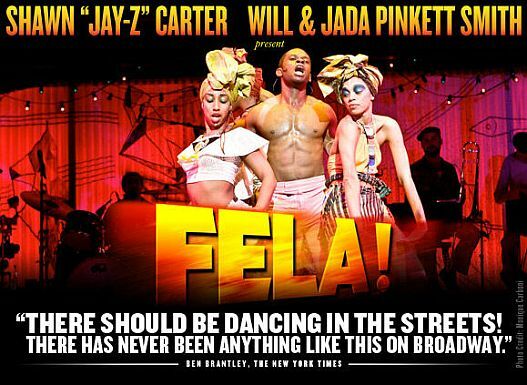 According to the lawsuit, director Jim Lewis and director Bill T. Jones went on to create the Broadway musical Fela! without his knowledge or consent. “Entire portions were simply copied from Moore’s book and inserted into the script of the musical,” the complaint reads. One of Fela!’s producers told the New York Times that he was perplexed by the lawsuit, because Moore had participated in public events promoting Fela! which began a run on Broadway at the Eugene O’Neill Theatre in October of 2009. In addition to seeking the $5 million, Moore is attempting to halt all future performances of the Tony Award winning play, which is slated to conclude on Jan 2, 2011. Fela!’s producers include Jay-Z, Will and Jada Pinkett-Smith, Ruth & Stephen Hendel and others. First, for the Fela! camp, I find Producer Handel’s statement of surprise to be well, surprising. As long as there is money involved, especially millions as in this case, there will be something to fight about, err. . .money?! Also, from Moore’s view and justifiably so, if indeed Fela! stole his work, Fela! should not be raking in thousands/millions while he sits there and takes it, irrespective of whether he was “supportive.” Being “supportive” does not mean I can’t sue you if indeed you steal from me. Second, Producer Handel mentioned Moore was involved in promotions which included an interview that Fela! completed and published on Youtube and/or the Fela! website. They also helped sell Moore’s book. Again, to be clear, if you are in Producer Handel’s position, doing all the above does not preclude a legitimate law suit against you/your company, if one exists. In simple analogy, just because you steal my pot of food and dish me a plate to eat, doesn’t erase the fact that you stole from me. Stealing is stealing, is stealing. 1) “The lawsuit also said Moore also was never compensated for a videotaped interview he did to support the show.” Did Fela! ever have Moore sign a waiver agreement? TIP #1: Folks, if you are a film producer looking to produce any kind of film/documentary that will use the image, likeness or voice of anyone be sure to have your attorney draft an agreement for you for that purpose. 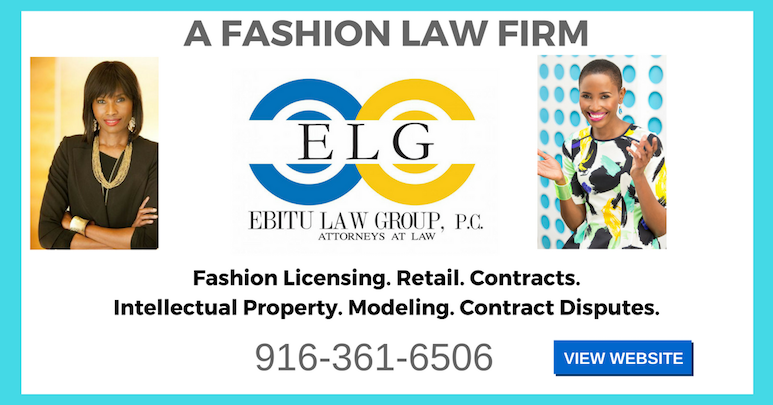 This agreement can be a waiver agreement, without compensation depending on the facts, that allows you to use the work in the manner you specify including for commercial gain and promotional purposes. Further, as to compensation for the interview, if an agreement existed, did it call for compensation to Moore, whether or not Fela! used his videotaped interview? In this instance we know the videotaped was used because Handel tells us it is(was) on the Fela! site. However, what does Moore mean that he did the interview to “support” the show? What support? 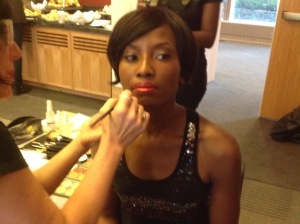 Is showing up to events for Fela! to sell his book considered “support?” Is speaking on the video clip “support?” If Moore says it was “support” then doesn’t that undermine Moore’s argument that he was to be compensated? By his very own statement, he did the interview to “support.” Support does not typically create an expectation to be compensated, not so? What Are Other Possible Arguments Anticipated On Both Sides? From the defense, I expect to hear arguments above in addition to the following: 1) no agreement implicit or explicit existed to compensate Carlos Moore; 2) the actions of both parties demonstrate this. The video clip of Moore’s interview was published since August 2009, well over a year. Moore (if the facts are true) has never asked orally or in writing for compensation precisely because the intent of the parties from day one has never been any kind of monetary compensation for such interview; and 3) even if the court was to imply an agreement for compensation, Moore has been generously compensated by Fela! giving him visibility on their prestigious platforms both at the Eugene O’Neil Theatre and online to promote and/or sell his books. From the Plaintiff , I expect to hear arguments that there was: 1) an implicit agreement, barring a written contract, that Moore was to be compensated; 2) Moore made his intentions known in 2007 when Fela! negotiated for rights to his books; 3) With the launch of the play in 2009, Moore continued to expect to be compensated as evidenced by the fact that he sold his book of which the play Fela! is (arguably) a derivative at the Fela! venues and promoted his book online; all geared towards increased sales of his book; 4) Nothing in his actions or appearance in the Fela! Youtube promo constituted waiver to be compensated; 5) he had no knowledge of use of his work (the presumption is that the videoclip was filmed in 2007-2008 and the use was not explained to him); and 6) his lack of signing a waiver agreement (that is if it is true) clearly demonstrates he expected to be compensated. Since he had not been compensated and knowing the show was coming to an end, he needed to file an action. Injunction Seeking to Shut Down Fela! : Pragmatically, this is highly unlikely. At best assuming the facts and the evidence before the court favored Moore, then the parties would seek settlement of some kind since they intend to take Fela! worldwide with the next stop being London. Given the value of what the music icon has contributed to the world at large, shutting down the show would seem to do more harm than good for all. Either way, both parties in a case management/settlement conference along with the court can fashion out an equitable remedy; assuming the facts show a clear copyright infringement by Fela! Finally, on the Copyright Infringement Suit: The copyright infringement claims brings up a legal point I am yet to discuss with you all. The concept of “derivative works.” Assuming for a second that the facts favor Moore and indeed excerpts of his book were copied into the script for Fela!, within the copyright infringement suit filed, the bigger issue in contention would become whether the ultimate play which Director Bill Jones turned into Fela! can be classified as a derivative work of Moore’s book. How is Derivative Work defined? Derivative work is where an author takes a substantial amount of a previously existing work’s expression and creates his/her own new work. Now we really have a battle on our hands and I am just getting warmed up. The defense obviously would argue it is not derivative work. Yes, they saw Moore’s script in 2007 and when he rejected their offer, they closed that chapter and moved on. They did their own research. Fela is well know and tons of pre-existing material exists in the public domain which belongs to the world, not Carlos Moore. They used the information available in the public domain, pieced the info. together and came up with their screen play currently performed on Broadway. They could further argue that even if the court were to find that the work was derivative, it does not enjoy copyright protection because Fela! did not use a substantial amount. Substantial means that if a reader read Moore’s book and then saw Fela!, he/she would conclude that the play has been adapted from or is based upon Moore’s existing work. Notice Allhiphop reports that the complaint said “large amounts” was used. Does large amount equal “substantial” amount? Does it end up being a game of semantics? That’s for the lawyers to fight about it in court. Assuming Fela! did not copy a substantial amount of Moore’s work, then you have a derivative work that does not enjoy copyright protection since the ideas and facts used as excerpts from Moore’s book are not protected and therefore free for Fela! to use. If the work is classified as Derivative Work, What happens? Fela! needed to have received permission as alleged by Moore to use Moore’s work. Since Fela! didn’t, it is time to pay up!